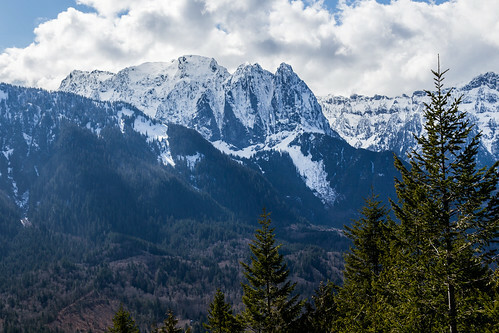 I've driven past this hike on US 2 countless times with grander adventures in mind. 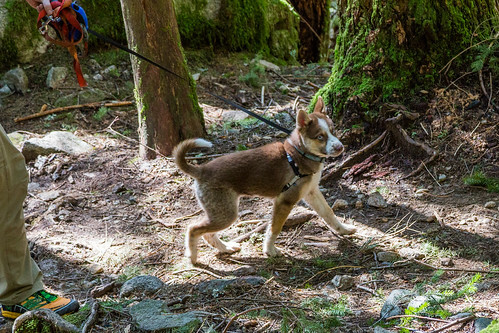 But it was a great day to get my friend Paul and Lynn's new husky Rowan out on the trail. 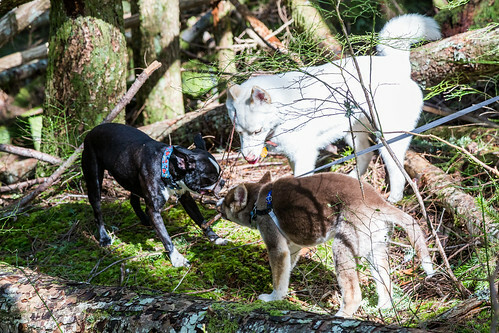 The 3-month old pup did very well on the leash, leading Paul much of the way, while watching Boomer and Kalea run ahead and come back. The one mile or so hike up to the lookout is rewarded with a nice view across the valley to Mt. Index, with Lake Serene below, though not visible. On the way down, the dogs played a bit more. And Boomer actually heard a squirrel. Heybrook is a nice short hike that has some uphill stretches to get you warmed up. 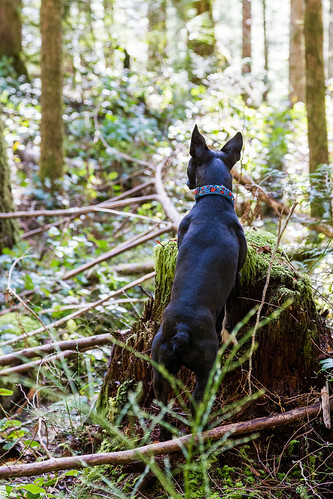 It's a fun hike if you don't have a lot of time. Thinking about backpacking for the first time?